Short on time? 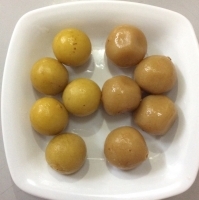 Let sauces sellers contact you. 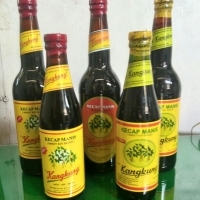 BANGO SWEET SOY SAUCE Qty/Carton: [12x400ml], [48x135ml], [24x275ml] Ksr Tulip is able to supply goods under competitive price. We also encourage you to mix a lot of items inside one container. All orders will be handled carefully and ship as soon as possible. 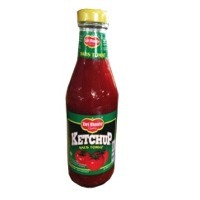 INDOFOOD CHILI SAUCE Qty/Carton: [48x135ML], [24x335ML] Ksr Tulip is able to supply goods under competitive price. We also encourage you to mix a lot of items inside one container. All orders will be handled carefully and ship as soon as possible. 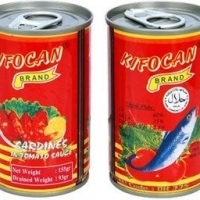 INDOFOOD SALTY SOY SAUCE Qty/Carton: [48x140ML], [12x625ML] Ksr Tulip is able to supply goods under competitive price. We also encourage you to mix a lot of items inside one container. All orders will be handled carefully and ship as soon as possible. 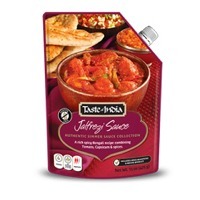 Welcome to our award-winning range of 11 authentic restaurant quality Indian cooking sauces. 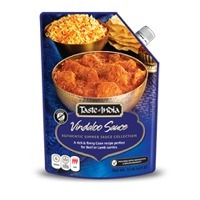 One pouch makes a delicious meal for four people. Simply pan-fry the meat or vegetables, add the cooking sauce and simmer. 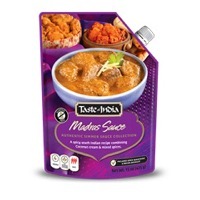 These curry sauces provide a quick and convenient way to enjoy popular and traditional Indian meals without lengthy preparation. 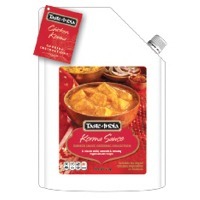 Sauces are supplied with extra seasoning spices and a step by step recipe booklet. Vindaloo Sauce A rich & fiery Goan recipe, perfect with Beef or Lamb. Welcome to our award-winning range of 11 authentic restaurant quality Indian cooking sauces. One pouch makes a delicious meal for four people. Simply pan-fry the meat or vegetables, add the cooking sauce and simmer. 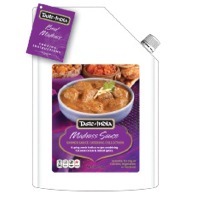 These curry sauces provide a quick and convenient way to enjoy popular and traditional Indian meals without lengthy preparation. 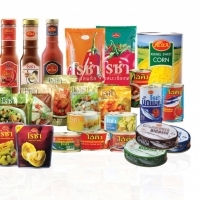 Sauces are supplied with extra seasoning spices and a step by step recipe booklet. Madrass Sauce A spicy south Indian recipe combining Coconut cream & mixed spices. Welcome to our award-winning range of 11 authentic restaurant quality Indian cooking sauces. One pouch makes a delicious meal for four people. Simply pan-fry the meat or vegetables, add the cooking sauce and simmer. These curry sauces provide a quick and convenient way to enjoy popular and traditional Indian meals without lengthy preparation. 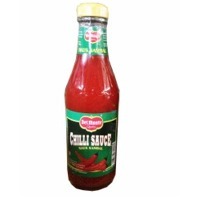 Sauces are supplied with extra seasoning spices and a step by step recipe booklet. Jalfrezi Sauce A rich spicy Bengali recipe combining Tomato, Capsicum & spices. This is our range of 11 authentic restaurant quality Indian cooking sauces for caterers and foodservice suppliers. 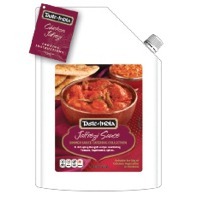 One pouch makes 18-20 delicious servings and is supplied in a handy reusable spout pouch. Simply pan-fry the meat or vegetables, add the cooking sauce and simmer. Cooking for a function or a large group of people has never been easier. Pouches come supplied with a step by step instruction booklet. 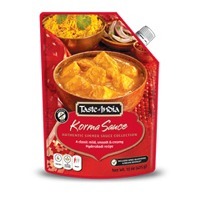 Korma Sauce A classic mild, smooth & creamy Hyderabadi recipe.